The Indigenous People of Biafra, IPOB, has congratulated the Nigerian legislators, particularly those in the Senate for throwing out the bill seeking to restructure the country along true and fiscal federalism. 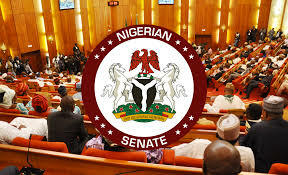 The Nigerian Senate on Wednesday, July 26 rejected the proposal to amend the 1999 Constitution in other to devolve more powers to the states; a step which has been considered as a major set back to those campaigning for restructuring in the country. However, IPOB through its Media and Publicity Secretary, Comrade Emma Powerful, said that restructuring Nigeria is an ill wind that will blow no one any good, maintaining that only referendum will salvage the country from its myriads of problem. IPOB stated that through its voting against restructuring, the Senate had vindicated the IPOB leader, Mazi Nnamdi Kanu, adding that through referendum, the future of the people will be decided as it would also address the recurrent agitation for resource control in the country. The statement read in full, “We members of the indigenous people of Biafra (IPOB) and it's leadership worldwide under the command and leadership of Mazi Nnamdi Kanu the prophet of our time wish to congratulate the honourable members of the Nigerian Senators for summoning the courage to vindicate our leader Mazi Nnamdi Kanu and IPOB on the floor of Senate chamber through their rejection of restructuring saga in Nigeria. “We are equally thanking them for voting down the controversial call for restructuring that cannot benefit anyone in Nigeria. We Biafrans and other sensible Nigerians can now believe that Northern Senators have demonstrated, through their rejection of restructuring, that IPOB remains the only legitimate voice that understand the plight of the masses and prepared to do something about it. Only a referendum can resolve the issue of Biafra not restructure. It remains the only way the masses can decide their future in Nigeria. “As a result of the rejection of this restructuring issue on the floor of the Senate chamber, we IPOB now hope that all socio-cultural groups like PANDEF and Ohaneze Ndigbo to come to the inescapable recognition that only a referendum can determine our fate once and for all time and resolve the perennial issue of resource control. “Nigeria is politically, socially and economically structured by Hausa Fulani oligarchs and cabals in the corridors of power supported by their collaborators British Government to cater for the interest of the very few political criminals and poorly educated few at the top who answer to the title of 'elite' with absolutely nothing to offer or show for it. They represent the worst form of mediocrity and arrested development. “This total rejection of restructuring in Nigeria by honourable Nigeria Senators is a clear indication to all and sundry, mostly the PANDEF, Ohaneze Ndi-Igbo and so called leaders of thoughts and elders in Biafraland that Nigeria can never be one and cannot recognize them as part of Nigeria because most of our people called for Nigeria restructuring before now but Hausa Fulani and their collaborators rejected it. Biafrans, please no one can threaten you to vote in elections. It's your civic right to cast your vote or not during election. You can decide not to vote to protest against any issues that's unfair to you. In the civilized Western nations, it's the most potent way to punish politicians who failed in their promises. In our case, it's even worse. Our politicians are corrupt, selfish, lawless, evil, and wicked. Why would you waste your time and even risk your life to go vote for corrupt and selfish politicians in Nigeria. Enough is enough. Let us stop this foolishness and stupidity. No more voting in elections in Nigeria until we are freed from this murderous Islamic sharia republic of Nigeria. Please help to bring about your nation - Biafra nation! All hail Biafra Republic.